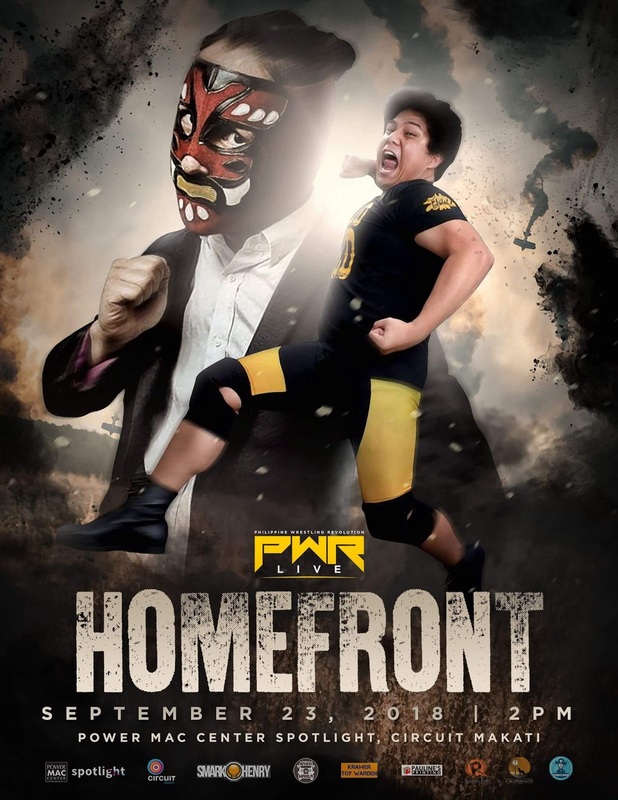 We’re just a few days away from the next PWR show, PWR Live: Homefront, so we here at the Smark Henry offices are going to give you a little preview of what’s about to go down this Sunday, September 23, at the Power Mac Center Spotlight. If you need a little backstory for this upcoming show, please check out our review of PWR: Renaissance. Now, without further ado, Here are five questions that we hope Homefront answers, along with some of my own predictions for this totally stacked card. What do our foreign guests have in store for our PWR Originals? This Sunday, PWR is hosting two foreign stars in Grapple MAX's Ladykiller, who will be facing Chris Panzer, and the returning Tengu, who will be challenging for Jake De Leon's PHX Championship. 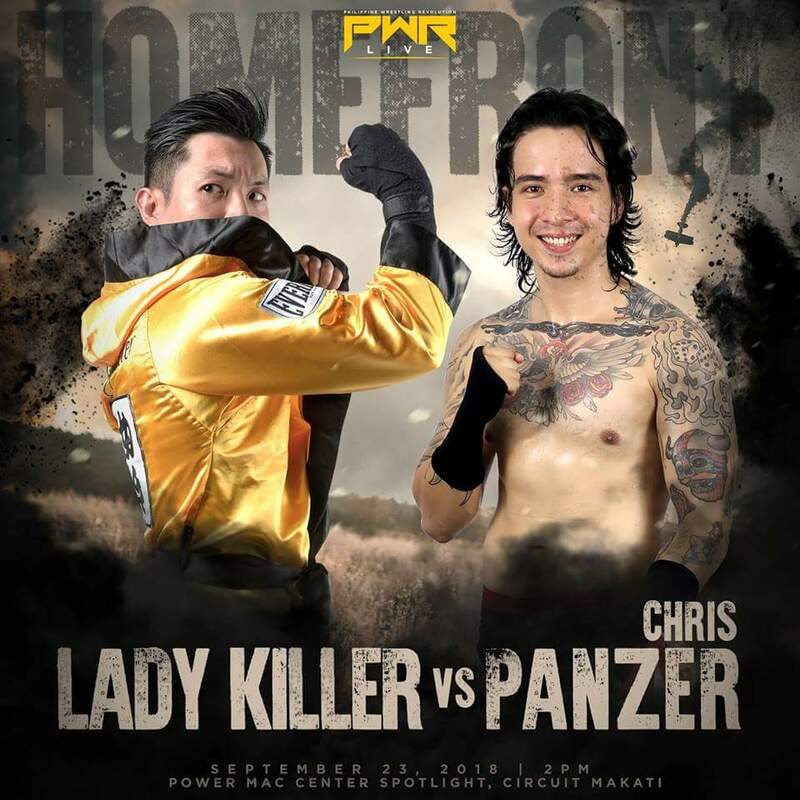 Ladykiller versus Chris Panzer is looking to be not only a battle of the ladies' men, but also as a grudge match between the two. Last time both competitors met, it was Ladykiller who emerged victorious, with Panzer vowing to even the score. Will Panzer get his W back this time around or will it be a decisive Ladykiller win? I say Chris Panzer has the homecourt advantage on this one to even the score for their rivalry. The second of the guest matches features Tengu against Jake De Leon for the PHX Championship; and it is also something to look forward to as this is Mr. Philippine Wrestling's first title defense after winning the title from Ken Warren at Renaissance. Aside from that, this is also Tengu's first singles match in PWR, following his last appearance at PWR: Vendetta. During Tengu's last outing, he was flanked by his tag team partner Dr. Hertz in what was said to be one of the best matches of 2017's year-ending show. Could the sinister Regime not be far behind or will JDL send Tengu back to his home country with a singles loss? This match has the potential to be a show-stealer by any right and I see Jake De Leon retaining in what could be a very close fight between the two. Can Quatro pull off an upset win to end Ralph Imabayashi's dominant championship reign? While Quatro did not win his match at Renaissance, the former Trabajador has shown great promise since leaving the Council of Trabajadores. Boasting what could possibly be the fastest rise from pre-show to main card, Quatro has shown that he has the fire and dedication to succeed in PWR and this could likely catapult him into winning his first PWR Championship. On the other hand, we have Ralph Imabayashi, who has been wholly dominant since becoming Kampeon ng Pilipinas. After a successful defense at the last show, Ralph is looking to capitalize on his winning streak by adding Quatro to his list of victims and continuing his long championship run. I predict Ralph Imabayashi is keeping the title, but you never know what just might happen as Quatro has that unpredictability factor on his side. Will "Mainstream" Mahaba's newfound attitude bring him success against Alexander Belmonte III? 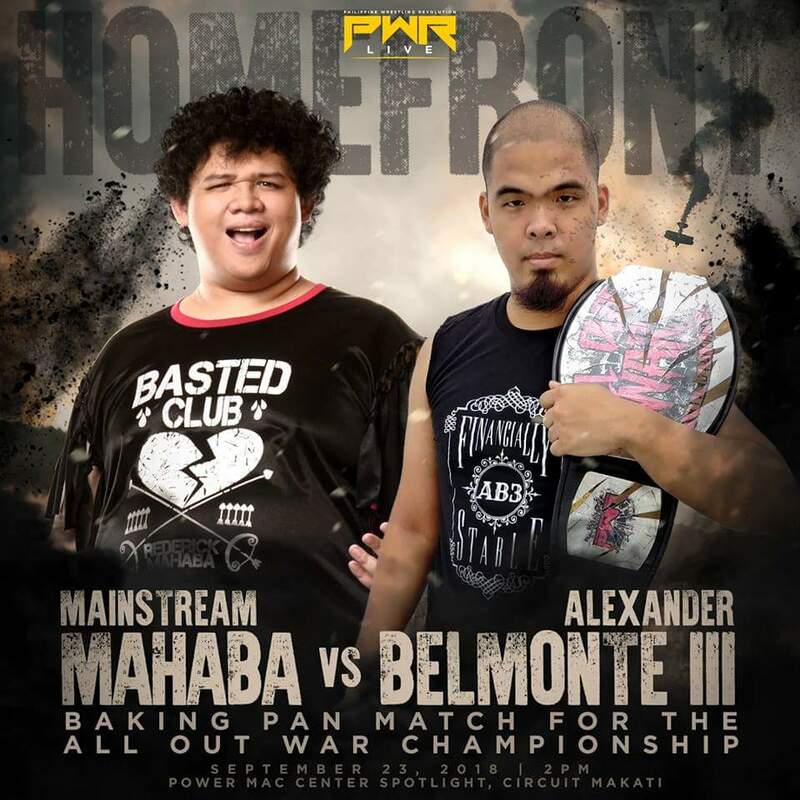 With Rederick "Mainstream" Mahaba’s recently booming showbiz career, he’s looking to capitalize on this success by accepting Alexander Belmonte III’s open challenge for the All Out War Championship in PWR's first ever Baking Pan Match. The Warlord has shown that he is a fighting champion by taking all challengers in a bevy of matches, whether it be against one opponent or multiple ones at the same time. However, Mahaba has had a long and storied history with baking pans as weapons. 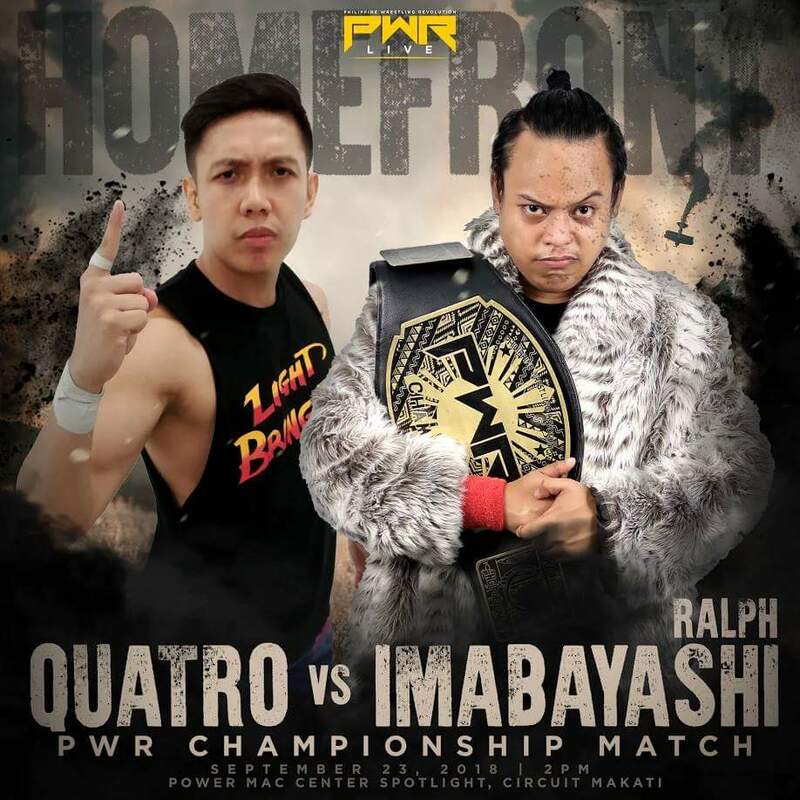 While I do want Alexander Belmonte III to retain the championship, I believe in the saying "Strike while the iron is hot," and Mainstream Mahaba is truly on fire right now—with his celebrity status and film roles—so I think he deserves to win his first ever championship in PWR so he can celebrate with HIS PARTNERRR Ralph Imabayashi. What's going on with John Sebastian? Is he okay? John Sebastian’s cool and suave exterior may slowly be cracking down as we saw him have a mini-breakdown after Renaissance. After he and Crystal lost the PWR Tag Team Championships to The Naughty Boys, the “Power Couple” were seen arguing backstage with Ken Warren eventually joining the fray, much to the annoyance of Sebastian. 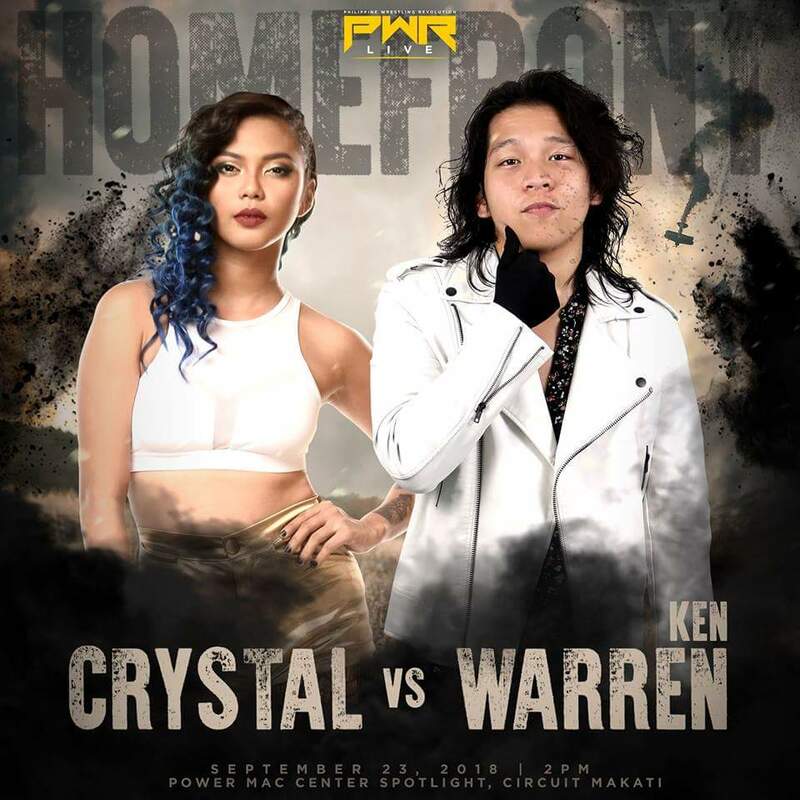 The Wrestling Lord and Savior certainly wasn’t having any of the shouting after that tough loss so he stormed out the room, but not before booking Crystal versus Ken Warren in a one-on-one match. A few days later, Sebastian also decided to accept the challenge from MWF’s Robin Sane to a match, while also shockingly wagering his 50% ownership of PWR without any provocation or hesitation. Will this turn of events prove to be John Sebastian’s downfall? Or will the WLAS prove once again why he is a self-proclaimed wrestling god? Losing his match might make him totally unstable so I see John Sebastian winning and retaining ownership of PWR, but costing Crystal the match against Ken Warren, shattering their on-screen relationship and partnership in the process. Will the Naughty Boys and the Power of Friendship reign supreme on this night? 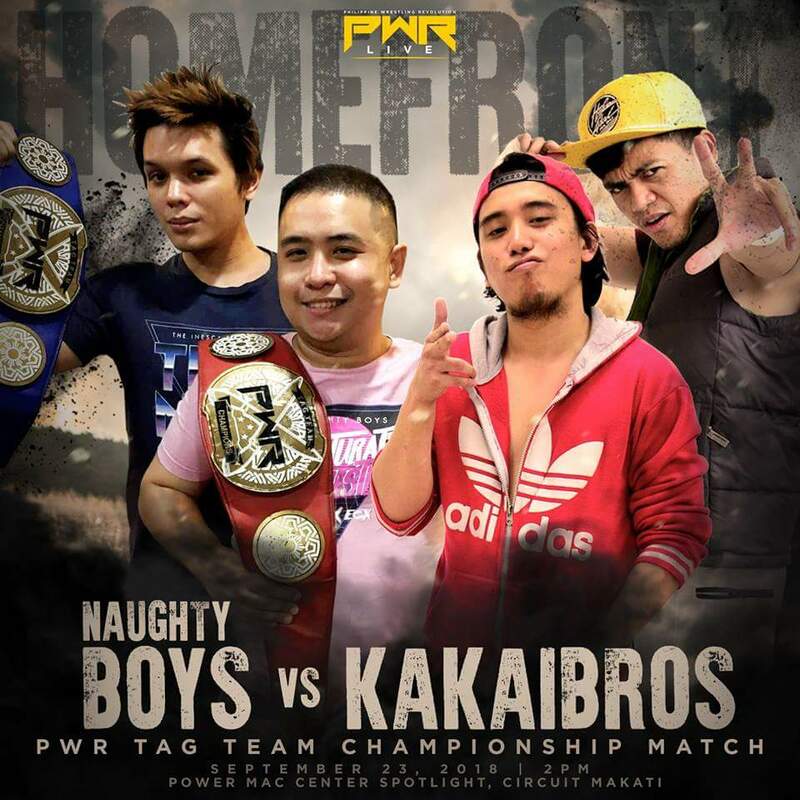 New PWR Tag Team Champions TDTxECX will defend their titles against the Kakaibros while everybody's favorite henchmen, GrabCamus and Kapitan Tutan, will face the YOLO Twins in two separate tag team matches. You'd have to wonder what's going on in the heads of The Naughty Boys and if the imminent arrival of Jhemherlynn's Tita Baby will play a role on their respective matches in the night. Camus and Tutan have yet to get a win on the roster and the YOLO Twins will make that feat even more difficult with their vast tag team experience. 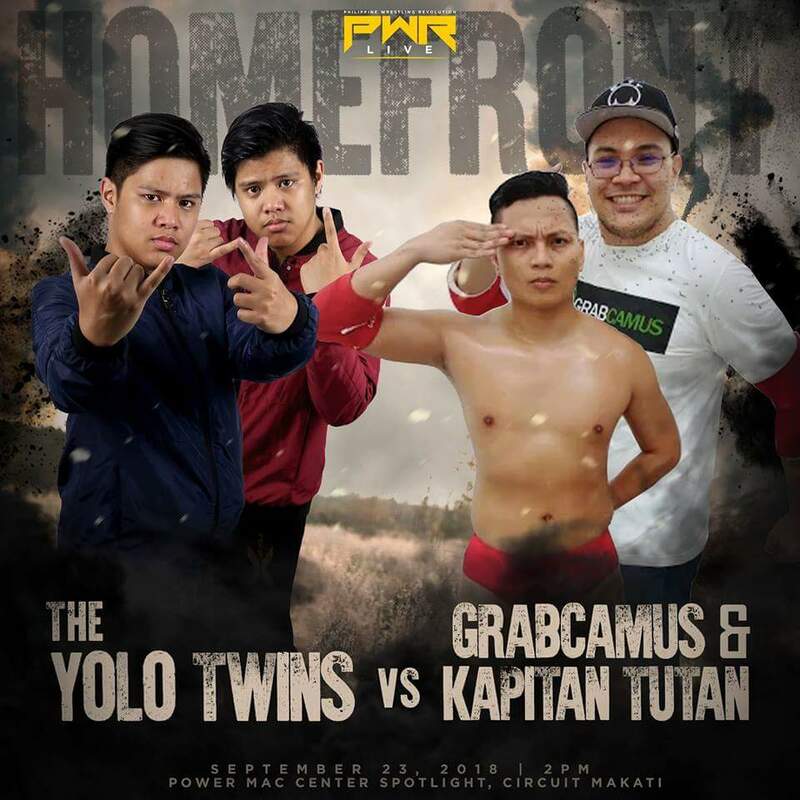 The YOLO Twins have the advantage and are hungry to get back in the tag team title picture, but I expect Camus and Tutan to pull something off (no pun intended, Kap) for their first victory. TDTxECX versus the Kakaibros, on the other hand, has me conflicted. Again, mentioning the role that either Jhemherlynn or Tita Baby will play as a distraction to the champs, along with the Kakaibros getting their 3th win, I feel that this win could go to the Kakaibros in a possible disqualification victory due to interference. Who will be our new contenders after this show? Martivo versus SANDATA, Main Maxx versus Dax Xaviera, and Mike Madrigal versus Vlad Sinnsyk round up the rest of the matches announced on the card and you can't help but wonder what's in store for the victors of these matches. 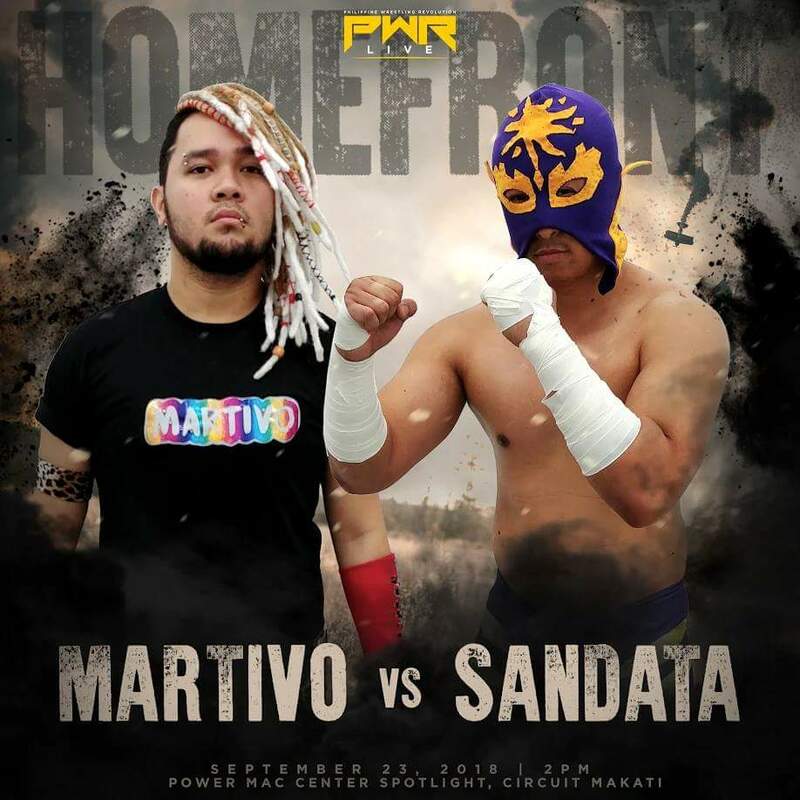 With Martivo coming off a win against Chris Panzer, and SANDATA coming off a 4-way loss from Renaissance, I feel that Martivo will break through the ceiling and have a claim to a title match in the coming months. I'm hoping it's a PWR Championship Match as he deserves an opportunity as big as that and it would also be great to see him face Ralph Imabayashi. Main Maxx and Dax Xaviera are both coming off losses, with Maxx particularly falling short against PWR Champion Ralph Imabayashi in the main event of at Renaissance. However, I feel that Dax Xaviera has to keep his momentum going strong and will likely get the win and another chance at the All Out War Championship, while a Maxx loss hopefully gets him towards a different storyline. Perhaps an eventual heel turn? Will his manager Mr. Sy be a factor in this match or will he be shunned by the big guy for his role (or lack thereof) during the title match at Renaissance? 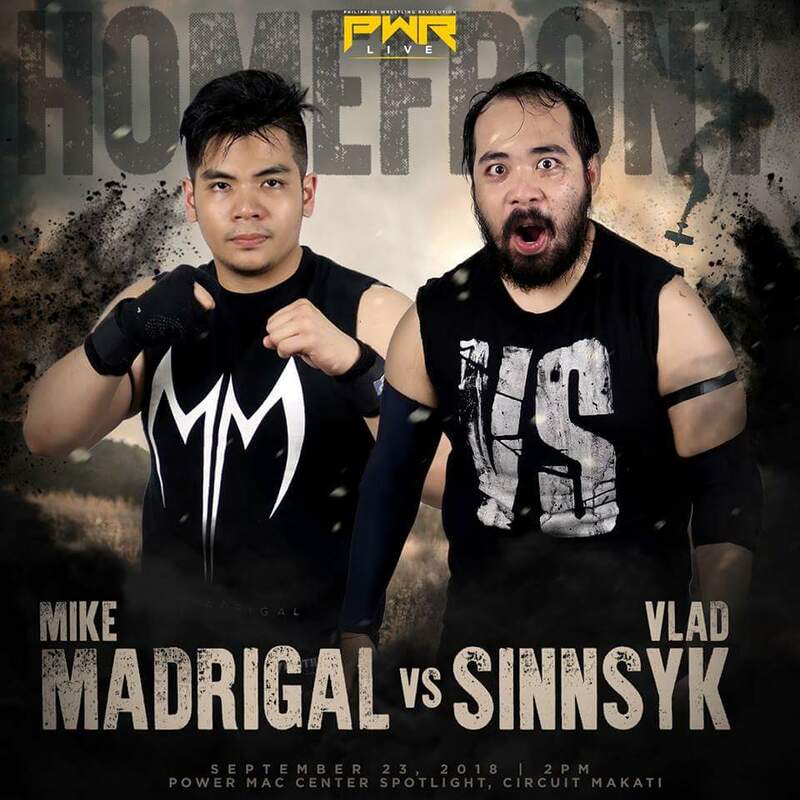 The Deadly Sinns' reunion was cut short when our resident kupal Mike Madrigal turned on old partner Vlad Sinnsyk. With Sinnsyk not having any recent success in his matches, one has to wonder if the former All Out War Champion is riddled with some ring rust. Mike Madrigal, on the other hand, has had an impressive and active track record and with that, I choose Mike Madrigal as the winner of this match, which could possibly catapult him back to the PHX Championship title picture. I expect this show to be action-packed and breathtaking, not only by the amount of top-notch matchups, but also with the possibility of new feuds and storylines that might arise—not to mention the involvement of special guests from other promotions. This is surely a show you wouldn't want to miss. 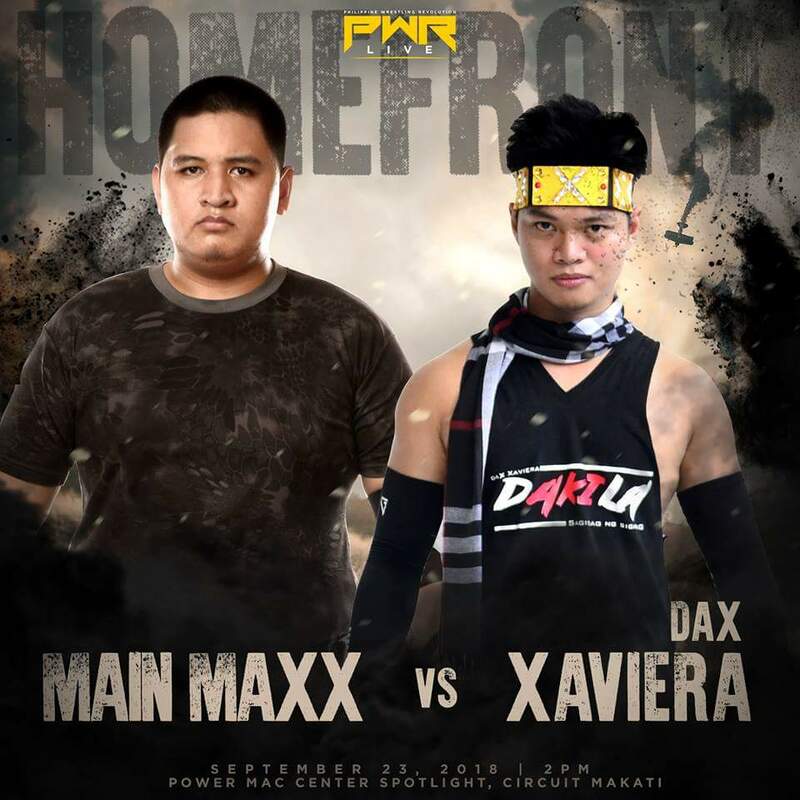 See you all this coming Sunday, September 23 at the Power Mac Center Spotlight for PWR Live: Homefront! Miguel “The Migz” Llado is your supposed fashion guru and not-so-young boy at the Smark Henry offices. A lover of everything music, wrestling, videogames and food, he lives his life tweeting his mind off (@the_migz) and ‘gramming random food and locations (@tha_migz) as he sets on his journey to completely do things spontaneously. When not being a smark, he lives his life being (and trying to be) an awesome architect and musician extraordinaire.